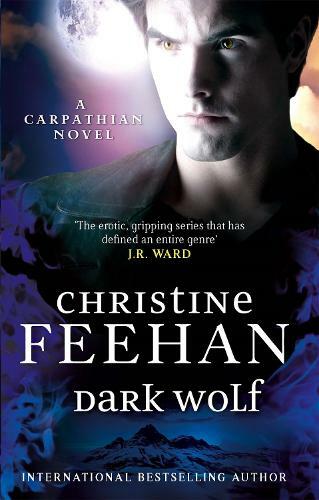 No.1 New York Times bestselling author Christine Feehan now delivers her most eagerly awaited novel of all - ten years in the making. Skyler Daratrazanoff always recognized the miracle that was Dimitri Tirunul, a man beyond any dream that had ever engaged her nights. But she was human. Vulnerable. He was Carpathian. Nearly immortal. She was nineteen. He was an ancient. Yet she held half his soul, the light to his darkness. Without her, he would not survive. Caught between the two warring species, Dimitri has spent centuries hunting the undead to keep his people free, and humans safe. He had survived honorably when others had chosen to give up their souls. But now, marked for extermination by the Lycans, Dimitri found himself alone, and fearing for his life. But salvation was coming. . .
No Lycan would ever suspect someone like Skyler to dare mount a secret rescue operation. A teenage girl. A human of untested abilities. But she had something no one else had. She was predestined for Dimitri - as he was for her. And there was nothing stronger for Skyler than her desire to see her life-dream come true. Whatever the risk.